There’s no use in having a lovely in-ground pool if you’re not going to bother taking care of it. Just like a nice sports car left out in the rain, an in-ground pool that isn’t cared for may as well not exist. While you may not be expected to bust out the cement every time there’s a tiny crack in the walkway around it, you should be caring for it in some basic ways just to ensure its longevity. One of these ways has to do with the filter. Given that a pool filter is your first line of defense against an uninhabitable swamp full of disease in your backyard, you’d better hope it stays in good shape. To make sure that’s the case, here’s a quick guide for maintaining your pool filters. Regular pool inspections, both by yourself and a professional, can avoid many disasters big and small. A quick visual examination of a drained pool and your filter area will let you know whether anything is damaged or broken before you go swimming. The easiest way to keep your pool filter from sucking up something it shouldn’t is to remove that something from the pool before it happens. While you can’t always be there to watch, fish out anything large or with the potential to cause a clog or internal damage to your filter before it makes its way inside it, avoiding costly repairs later on. Just like in your home’s air system, your faucet, or anything else, you’ll be required to refill or replace your filter regularly. 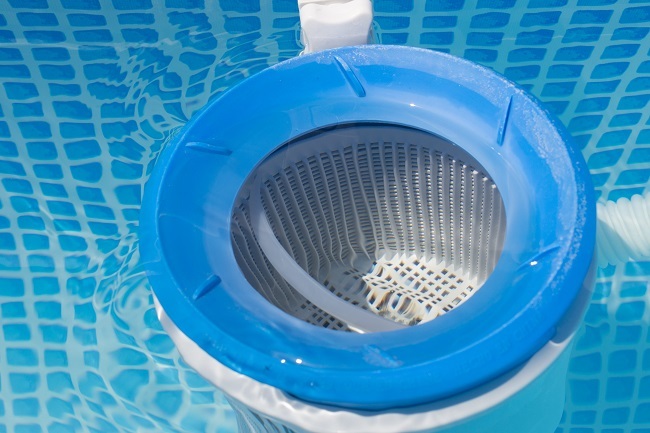 Read and understand the instructions you were given when you first had the pool filter installed to know when to do this, but it’s usually once or twice a year for most filter types. Pool filters are an important fixture of every in-ground pool, keeping your water safe to use no matter what you might track in there. If you ever need filter replacement or servicing, contact Aquanomics Pools today.